Visual agnosia is a rare but fascinating disorder of visual object recognition that can occur after a brain lesion. This book documents the case of John, who worked intensively with the authors for 26 years after acquiring visual agnosia following a stroke. It revisits John’s case over twenty years after it was originally described in the book To See But Not To See, in 1987. As in the previous book, the condition is illuminated by John and his wife, Iris, in their own words. 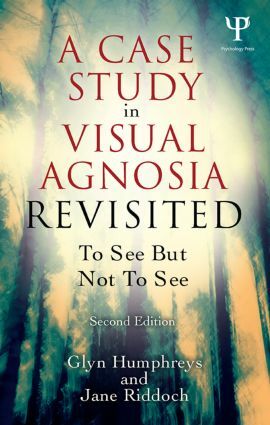 A Case Study in Visual Agnosia Revisited discusses John’s case in the context of research into the cognitive neuroscience of vision over the past twenty years. It shows how John’s problems in recognition can provide important insights into the way that object recognition happens in the brain, with the results obtained in studies of John’s perception being compared to emerging work from brain imaging in normal observers. The book presents a much fuller analysis of the variety of perceptual problems that John experienced, detailing not only his impaired object recognition but also his face processing, his processing of different visual features (colour, motion, depth), his ability to act on and negotiate his environment, and his reading and writing. A Case Study in Visual Agnosia Revisited will be a key reference for those concerned with understanding how vision is implemented in the brain. It will be suitable for both undergraduate students taking courses in cognitive psychology and neuropsychology, and also researchers in the cognitive neuroscience of vision. The presentation of John’s case, and the human aspects of the disorder, will also be of great interest to a general audience of lay people interested in perception.